Thanks for the post. 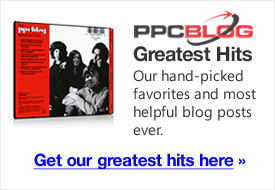 What is a good ROI for Pay Per Click? Some smaller campaigns in less liquid and less competitive markets might return anywhere from 50% to 200% ROI. But in the more competitive markets something closer to a 10% to 25% return might be seen as decent. And in some markets the pricing is such that merchants lose money to buy the customer and hope to make profits on eventual lifetime customer value.